In a live frequently asked question session, Chris Sinkinson of Homeplan Designs addressed questions about extending and remodeling in the current housing industry. With the rise in U.K. housing prices, people are feeling more confident in putting money into their homes again. An extension is a good idea for someone who does not want to take the time and effort to sell their home and buy another, or for a family who treasures their house, garden and community. Chris Sinkinson, a Lancashire home designer, recently answered a number of questions concerning extensions and remodels to a home. Here are several comments Chris made recently in one such live Frequently Asked Questions session. There are many reasons why Chris is called in to create extra room for a client. This is often necessitated by the birth of a child, or an elderly parent moving in, and people are more interested now than they were a year ago. Chris feels most homes can be extended and remodeled, depending on the structure and what kind of extra space is required. Even older homes with many small rooms can be redesigned to create an open living area by removing some of the walls and remodeling the layout. “It is not that difficult to actually remove dividing walls and create larger living areas. 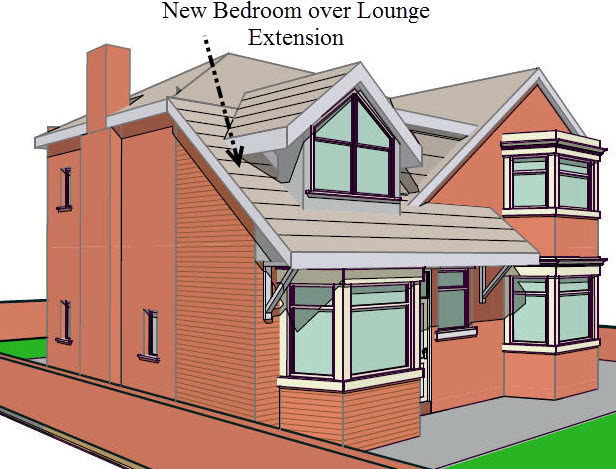 As Lancashire architectural designers, we assess these loading situations and if the walls need to be removed we design a steel beam (or series of beams), to carry the floor and roof loads over. With a combination of beams, columns, and perhaps an extension to the rear (or side) of your property, a completely different layout can be created, to give you all the extra space you want. Your new kitchen can be repositioned alongside an open plan dining area, with a contemporary style glazed living space leading to the garden through fully glazed ‘Bi-fold’ doors. 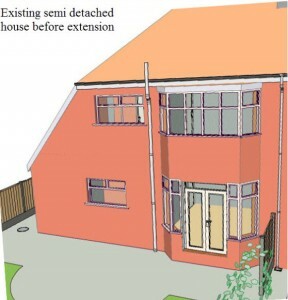 All this can be done on, what we call in the UK, a standard semi detached house. Remember that the extra bedroom can also be created over the new extended living room.” said Chris Sinkinson of Homeplan Designs. Perhaps people do not have to buy a larger home in order to accommodate the amount of space they need. Often a carefully designed home remodel on their existing property can provide the additional space, and with the improving U.K. housing market now is a better time than ever. 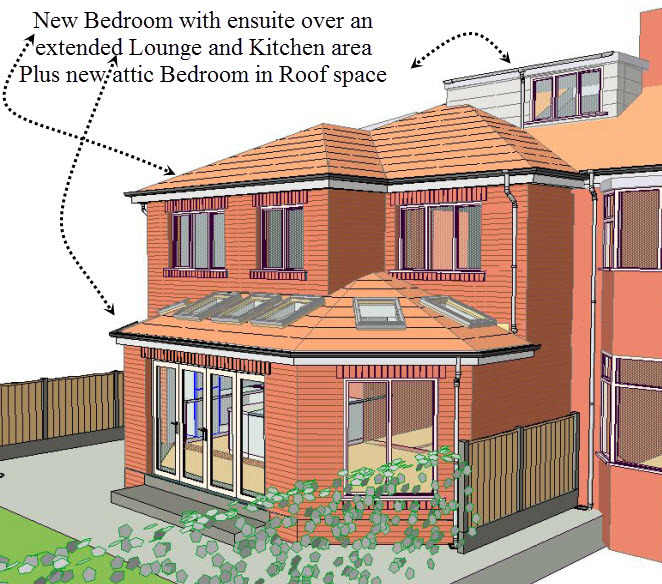 Chris Sinkinson is the owner of Homeplan Designs, an Architectural Consultancy Firm in Lytham, Lancashire. Homeplan Designs undertakes all types of Domestic, Shopfitting & Commercial projects in the Northwest of England and throughout the UK. The company specializes in the planning and design of Nursing Homes and Rest Homes in Northwest England. They work on extensions, remodels and new build projects. This press release was prepared by Bobrow Consulting Group (BCG) for Homeplan Designs. BCG works with building design professionals to grow their business by optimizing their online strategy, offering an online architect marketing course as well as offering web design and SEO consulting services.